This was another enjoyable edition to the Blood of the Drakon series. Here we get Constance’s sister Abigail. Each story added a little more detail, adventure and questions that you can’t help but wonder the answers too. The series and stories are all insta mate/love stories. They are also predictable, but still good. Sometimes predictable is enjoyable. The author did add a new element in this story with the Ice Drakon and the knowledge Vasili wields. He’s unique compared to other Drakons. I liked this new element and the knowledge he has. We still have the over all arc with the Knights still trying to capture a Drakon’s and using anyone they can to get what they want. I hope one day we see the Knights as a whole get their comeuppance. 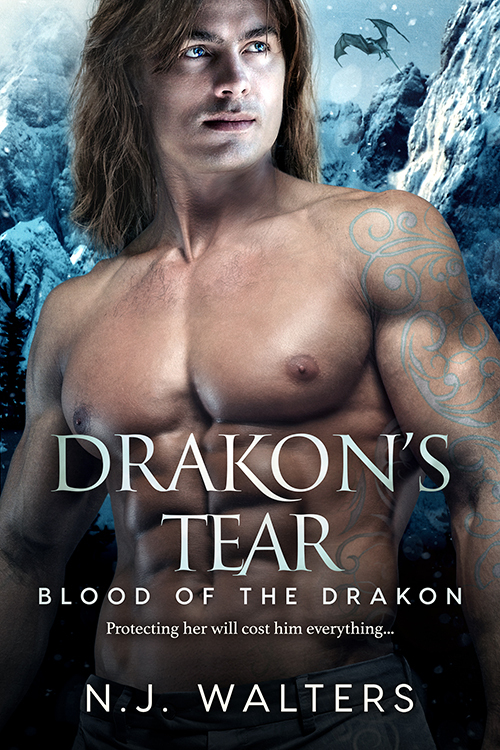 Drakon’s Tear was a delightful read. Nice to see you are still enjoying this series:) It’s a new one for me and I might give it a try. So happy you are enjoying the series. Nice review! Glad you enjoyed my review. Thank’s for visiting and sharing. ohhhh dragons! I love dragons! This sounds really good and 6 books isn’t bad to binge. I’m having a terrible time picking books lately and thinking some new authors are due in my TBR. Oh no you can’t pick anything…. I dislike when I’m in a slump. This series has been enjoyable. It’s insta, but sometimes insta is good for bingeing on. Hope you find something and maybe you’ll give this series a try. Have a great week! This series is a fantastic series and I really enjoy the different dragons and what they have for abilities. I highly recommend reading them. Glad you are enjoying the Blood of the Drakon series. I agree it’s nice to have different dragons and abilities. Thank’s for visiting and recommending the series.